NEW evidence has emerged that Las Vegas gunman Stephen Paddock may have set his sights on the Lollapalooza music festival in Chicago in August with a new report showing he had booked two hotel rooms overlooking the venue. TMZ reports that Paddock, 64, had booked two rooms at the Blackstone Hotel in Chicago, across the street from Grant Park where Lollapalooza has been held since 2005. The site reports that Paddock would have had a similar view to the one he had of the Route 91 Harvest country music festival in Las Vegas where he killed at least 59 people. About 400,000 people, including Barack and Michelle Obama's oldest daughter, Malia, attended the festival, which showcased artists like The Killers, Muse and Lorde. TMZ says Paddock, never showed up for his bookings at the hotel. Paddock is also believed to have been planning to carry out the massacre in Las Vegas a week earlier, having booked rooms at the Ogden overlooking the Life is Beautiful open-air festival from September 22-24. Investigators are trying to identify a mystery woman who had been seen with Paddock days before he carried out the Las Vegas massacre, police told NBC News. Officials don't know if she had any connection to the attack, but they want to interview her as they build a timeline of Paddock's last days, according to the network. Bump stocks that give semi-automatic weapons automatic firing power are flying off the shelves ever since it emerged Paddock used them during his Las Vegas shooting spree, a report said. The Georgia Gun Store in Gainesville rarely sold bump stocks before the massacre but has been fielding calls from interested customers since the attack and claim their suppliers are out of stock, ABC reported. "Anybody that wants to get them is probably just worried that they're going to be banned," store owner Kellie Weeks told the outlet. It came as Clark County Sheriff Joseph Lombardo said he still believes that Paddock had some help. "Because look at this, you look at the weapon obtaining the different amounts of Tannerite (explosives) available, do you think this was all accomplished on his own?" he said. "You got to make the assumption he had to have help some help at some point." Authorities revealed on Wednesday night that they found 1600 rounds of ammunition and 50 pounds of explosives in Paddock's car. Police also mapped out the most detailed timeline yet of Paddock's attack on concertgoers at the Route 91 Harvest Festival. Paddock opened fire at 10:05pm and squeezed off his last rounds at 10:15pm, police said. In between, cops arrived on the 31st floor - just below Paddock - at 10:12pm and got to the shooter's 32nd floor at 10:17pm, officials said. Meanwhile, Paddock's Australian girlfriend, Marilou Danley said she knew him as a "kind, caring, quiet man" and denied any knowledge of his plans to slaughter dozens in Las Vegas. The grandmother spent yesterday being questioned by the FBI in Los Angeles about Paddock's rampage after returning to the US the night before. Authorities had described her as "a person of interest" in their investigation in to what drove Paddock to commit America's deadliest mass shooting, killing 59 and injuring 489 in a hail of automatic gunfire from his hotel window into an outdoor country music concert. 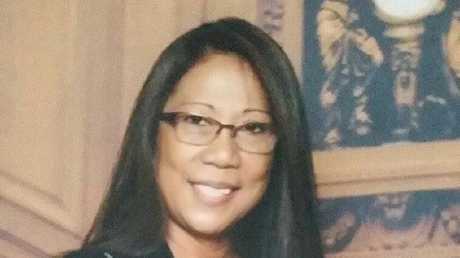 Facebook images of Marilou Danley who is being questioned as part of the investigation into the Las Vegas shooter incident. "I knew Stephen Paddock as a kind, caring, quiet man," Ms Danley said in a statement read by her lawyer. Ms Danley met FBI agents on her arrival to the US on Tuesday night from the Philippines. She said her partner gave her the tickets for a holiday in her birth country last month and transferred $US100,000 to her account as "a gift". "I was grateful, but honestly, I was worried, that first, the unexpected trip home, and then the money, was a way of breaking up with me," she said her statement. "He never said anything to me or took any action that I was aware of that I understood in any way to be a warning that something horrible like this was going to happen." Ms Danley and Paddock were in a relationship for the past several years and lived together in two Nevada homes, in Reno and Las Vegas. Both houses were raided on Monday and police seized dozens of weapons, boxes of ammunition and some explosives. 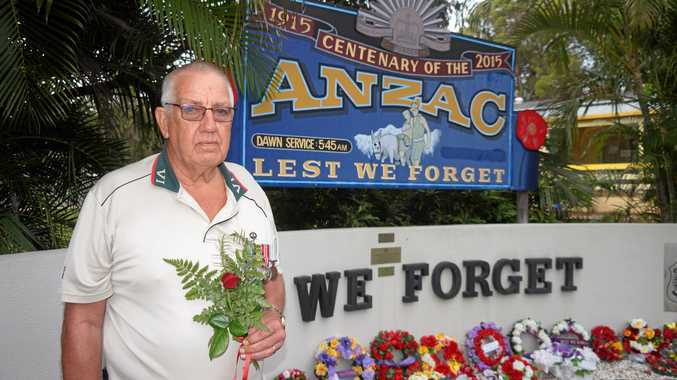 Neighbours and friends yesterday painted contrasting portraits of the former casino hostess, who lived for a decade on Queensland's Gold Coast. In Sparks, near Reno, where she lived with her then-husband Geary Danley until 2013, she was remembered for the parties she used to hold for local kids at her house at the end of a cul-de-sac. "She was such a super nice lady," said neighbour Christine Riley, whose children with husband Troy visited her home. "She made such a great effort with the neighbourhood kids. She was such a well-loved lady." However when Ms Danley moved in with Paddock - whom she had met while working as a "high roller hostess" at Reno's Atlantis Casino - she was a "a different person" to the woman described by the Rileys. "She didn't want to interact at all with us," said neighbour Susan Page, who lived next door to Paddock and Ms Danley in a retirement village in Verdi, Reno. Las Vegas gunman Stephen Paddock: What is known about the man behind the massacre. "I felt he was rude," said Ms Page, adding he would go out of his way to ignore friendly greetings. Ms Page said yesterday she watched as the pair separately moved out of their home over a few days in August, shortly after he bought a new white van. "I couldn't understand why an old man with no children would buy this kind of 'mum' car," she told News Corp Australia. "But now, with all the guns he had and what he was planning - I guess it makes sense." She said Paddock moved out mid-August and was followed shortly afterwards by Ms Danley, who had spent three days packing her belongings into her car. "I had the feeling she was packing to go camping, she had a lot of things packed on the top of car, and it took her a few days to get it finished," she said. A former colleague at Atlantis casino, where Ms Danley and Paddock met, said it "wasn't unusual" for hostesses to form relationships with their high roller clients, to whom they tend to be personally assigned. "They are there to serve every need of the high roller, 24 hours a day," said Pamela Stanislau, who worked at the casino for four years until 2010. "High rollers at the casino are given the whole world: chauffeur-driven limousines, free hotel nights, incredible private dinners in the top suite of the hotel. They are the cream of the crop gambling and there are very few of them," she said yesterday. "A hostess is a person who caters to their every demand at any moment they want, night or day, be it food, be it a private lap dance with a girl. The hostess will call and make arrangements for anything they want. "It can be a very close relationship. In this place, money can buy everything."